Update March 2019: I'm back at this. I kind of skipped February, with no updates. 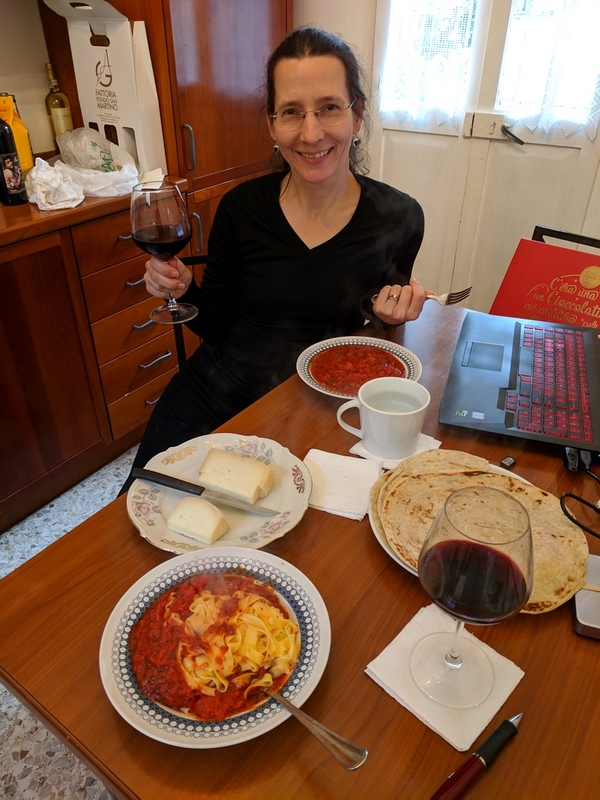 After many years of thinking about this, we finally went to Italy. We had a fabulous, wonderful time. It will be difficult to convey what a lovely vacation and visit this was, as it exceeded anything we could have imagined. We will start by showing a map of the area, with some locations that we visted highlighted. 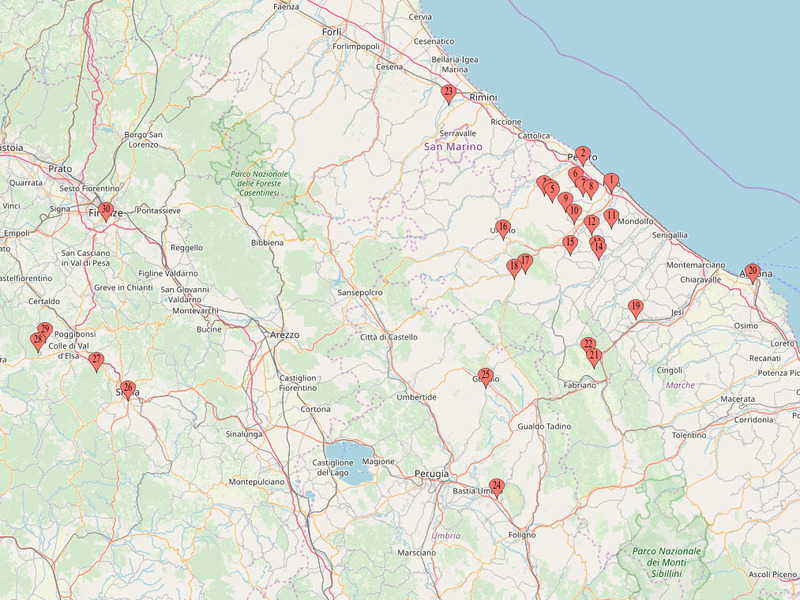 This link is to a map of many locations that we visited. I will reference the numbers on the map in different spots in the trip report. If you don't want to use the link (where you can zoom in & out on the map), here are some screenshots. 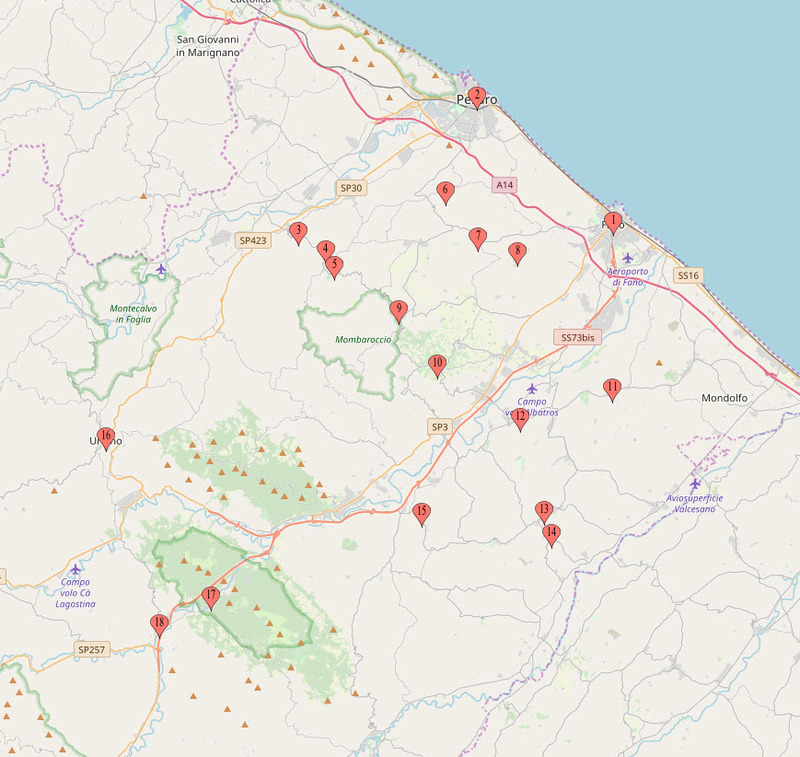 First, a map that shows the locations in Marche and the vicinity of Fano (where we were staying). This second map includes locations further away. As mentioned above, we stayed in Fano. 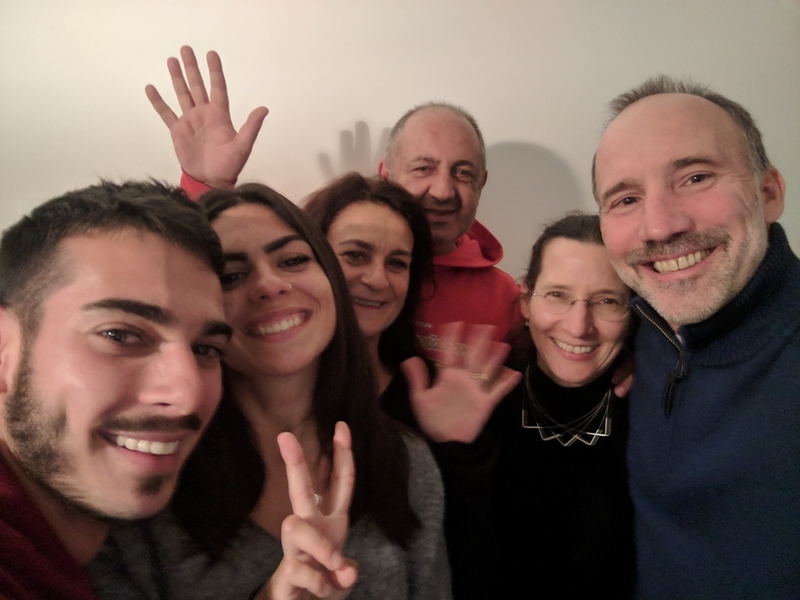 Paul's cousin & his wife, Francesco and Doni, hosted us. 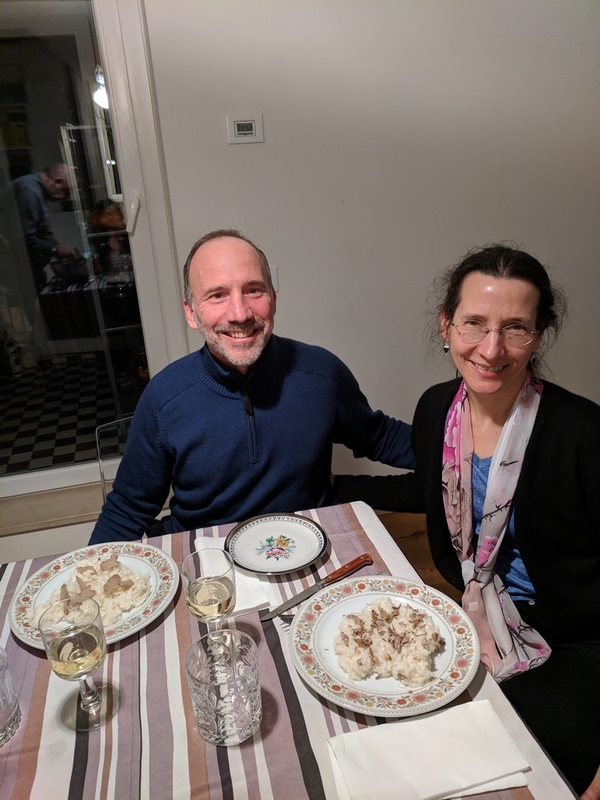 Fabulous hosts, and Doni is a fabulous cook who took great care of us (no meat, no garlic, no onions!). 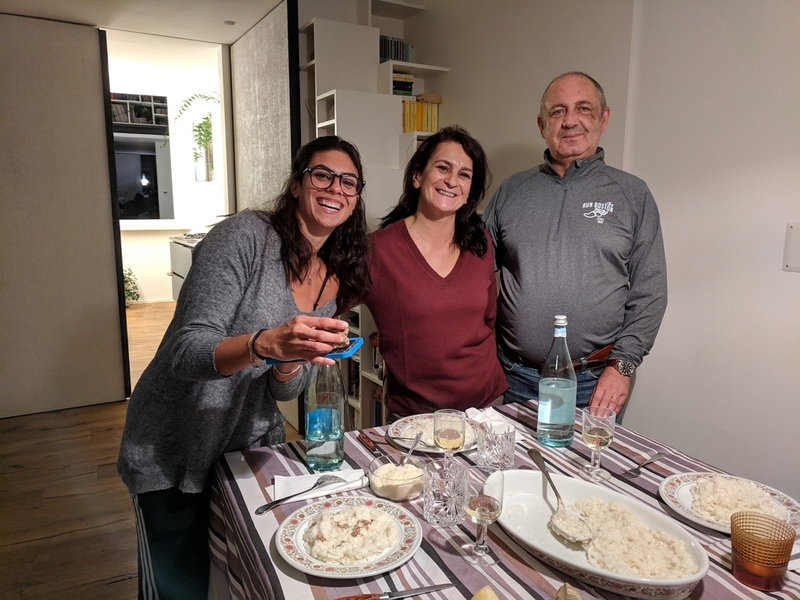 Here is Flo (their daughter), Doni, and Francesco the night we had risotto with white truffles (we can credit another cousin, Filippo, for the truffles; more on the truffle festival later). The two of us with the meal. You might have heard that white truffles are nicer than black truffles; it is true. And if you buy fresh truffle, keep it in a glass jar with a paper towel, unless you want your entire house to have the wonderful but pungent odor of truffle. Here is another picture of us, this time including Flo's boyfried Tommaso. This intro page will have links to the other pages in this trip report as they are published. We were in Italy for 3 weeks, and there is much to tell, but we will try to keep it to a reasonable length. This introductory page has the maps and labels, so you might want to refer to it as you read the rest of this trip report. 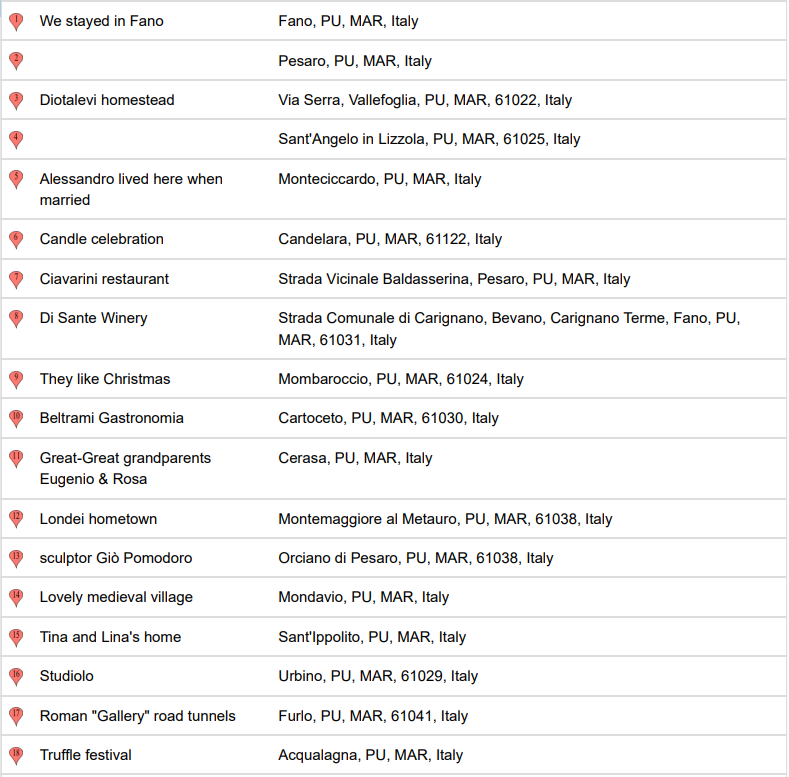 The city where we stayed, Fano, was one end of the famous Roman road Via Flaminia came through. 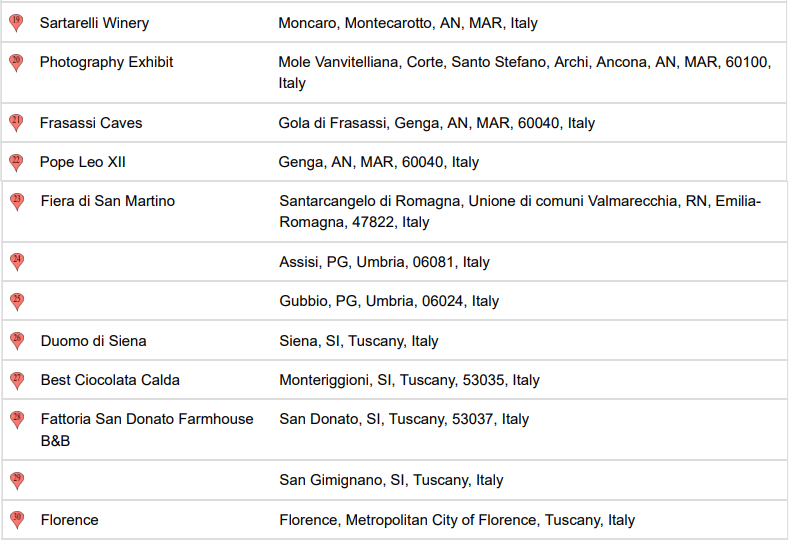 The inland city of Urbino has the twin Studiolo of the one in the Metropolitan Museum of Art in NYC. This is the Diotalevi 'home town' in Italy. We spent our first weekend in Italy in Tuscany.